Hola amigos! I was in Mexico a couple of weeks ago, and we had some delicious fish tacos at one of the resort’s restaurants. Back home in the cold winter weather, I found this recipe in a Cooking Light’s August 2009 issue. 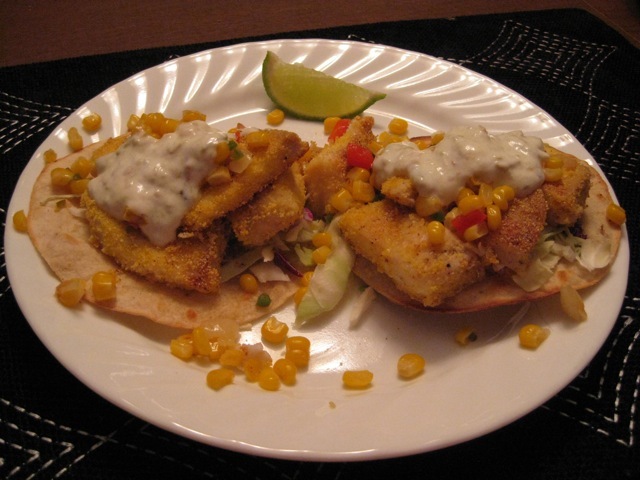 The cornmeal-coated tilapia is delicious and certainly more healthy than the restaurant version. The first time I made this, I broiled the tortillas as directed in the recipe. It worked fine, but they were hard to eat. The next time, I brushed them with oil and warmed them in a pan on the stove; they were easier to eat this way. My grocery store didn’t have angel hair slaw, so I used regular. My avocado was brown and mushy when I cut it open, so I had to go without. Boo! I used defrosted frozen corn. I don’t have any photos of the fish tacos, but here are a few from the trip. 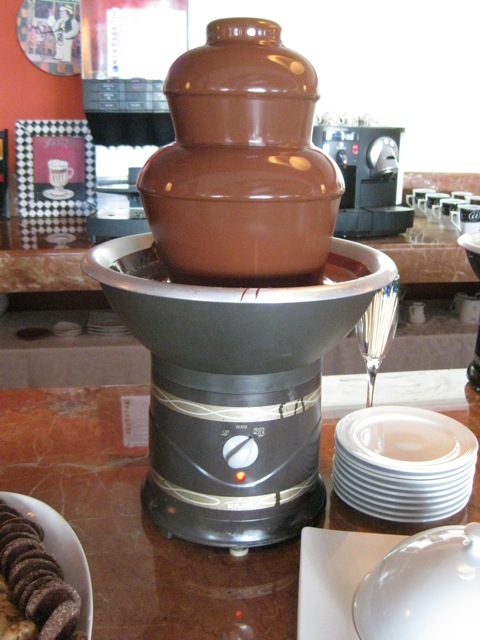 I need a chocolate fountain at home! 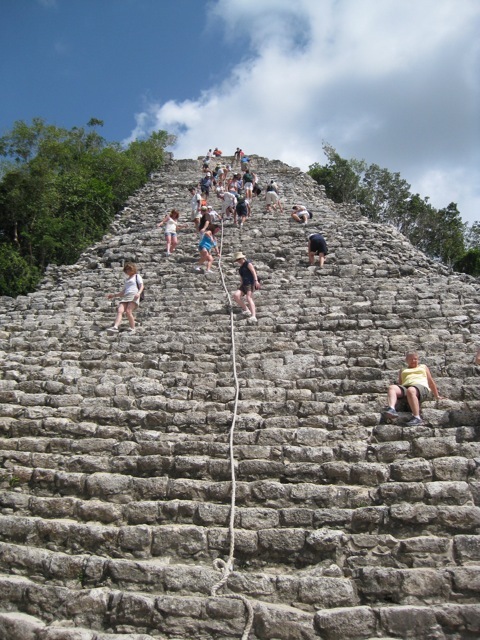 Mayan ruins at Coba. A few trips up and down will work off some calories! That’s a cruel thing to do… posting photos of warm, sunny weather, beaches… 🙂 What a great looking dish AND scenery! How lucky – I’m sure you enjoyed yourself and by the looks of it – enjoyed a colorful drink or two. Now I’m going to have to try my hand at tilapia! Hola! Love these photos – it looks like it was a fun trip. 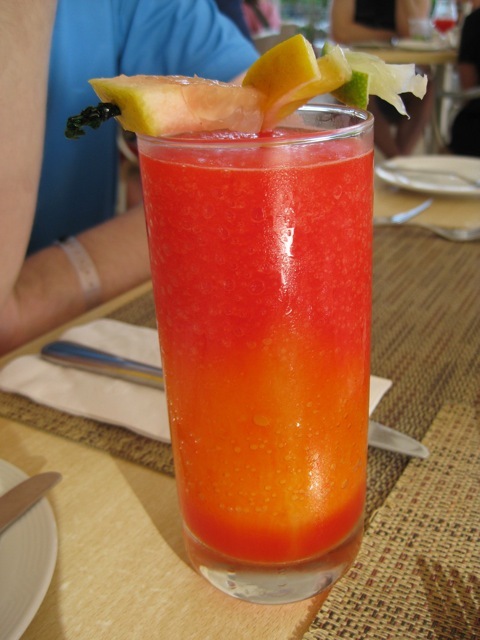 I want one of those fruity drinks – they look delicious!!! What a great trip! 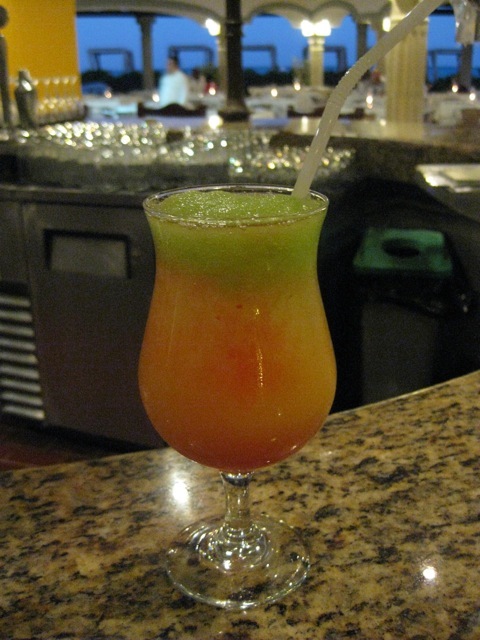 I think I love the fruity drinks best of all – but the fish tacos certainly come in a close second! I’ve never had fish tacos-and I’ve never had tilapia, but I’ve always wanted to try it! I’m so glad you had such a great trip!!!! Looks like a fun trip! 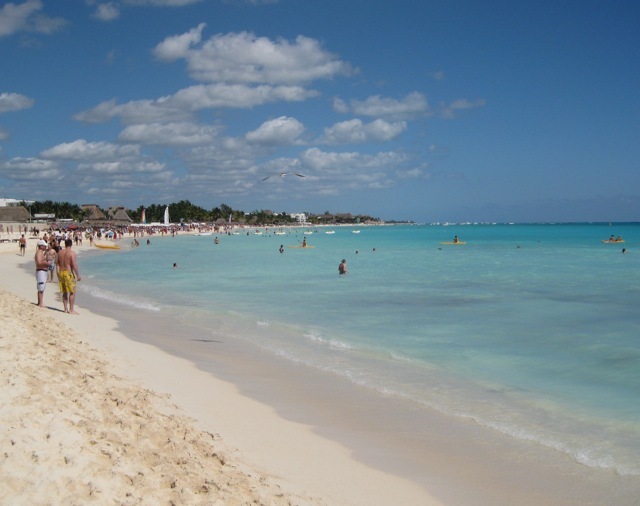 It’s been years since I visited Mexico, but I remember the breaded fish tacos being delicious. It’s great you found a healthier version. I love you trip photos–how fun! 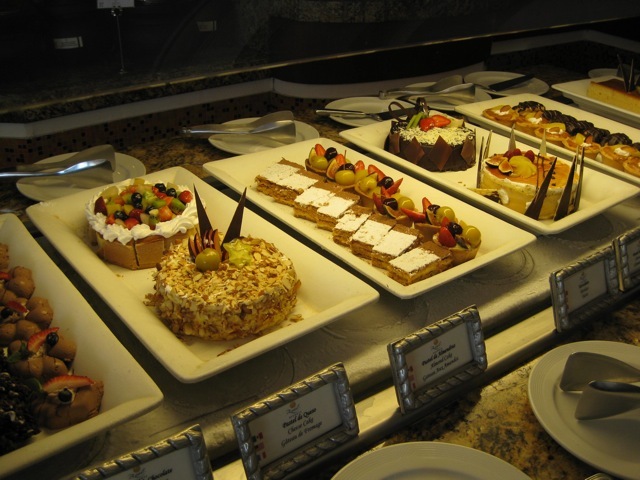 Those drinks look so yummy, and the desserts are fabulous. The trip looks fantastic! Thanks for sharing the photos, they are a welcome sight here as I gaze out the window with snow still present…dreaming, dreaming….